Here’s a deal perfect for any child who is a sports fan! 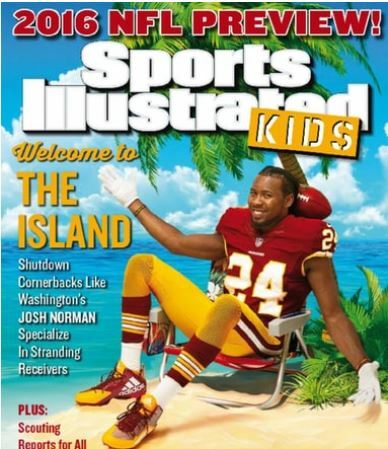 Right now you can pick up a Two-Year Subscription to Sports Illustrated For Kids Magazine for only $22.99 – just $11.49 per year! 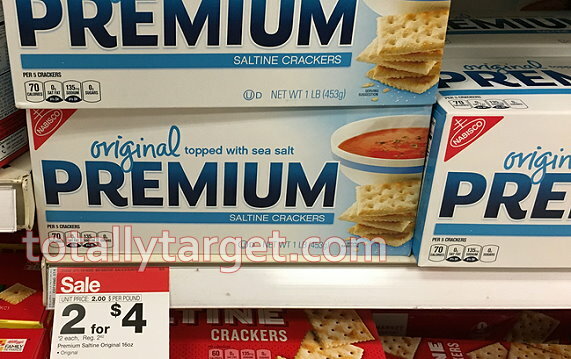 Just enter coupon code: TOTALLYTARGET at checkout. 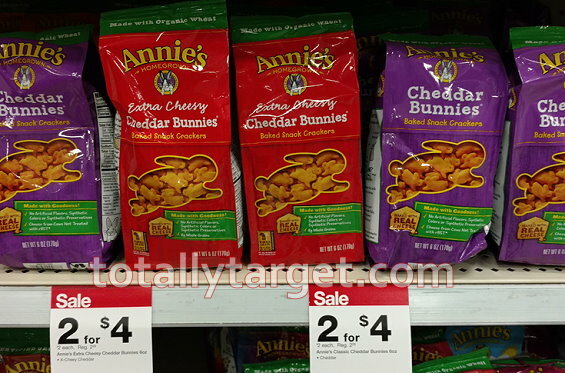 This deal will run through midnight (EST) September 11th. You can get a new subscription or extend an existing one with this deal. Keep in mind that magazines make terrific gift ideas too! About Sports Illustrated for Kids Magazine: Sports Illustrated Magazine is not only a fun and entertaining way to promote reading, but also serves as a wonderful and wholesome source of inspiration for kids to get involved in the world of sports at a young age. Edited for children 8 years and up, the magazine features great news articles, player profiles and much more. Watch for a new offer for a FREE $5 Gift Card wyb 2 select Blink Eye drops thru 9/24. The contacts lens lubricating eye drops were included at $5.99 to make for a super-nice deal after coupons…. 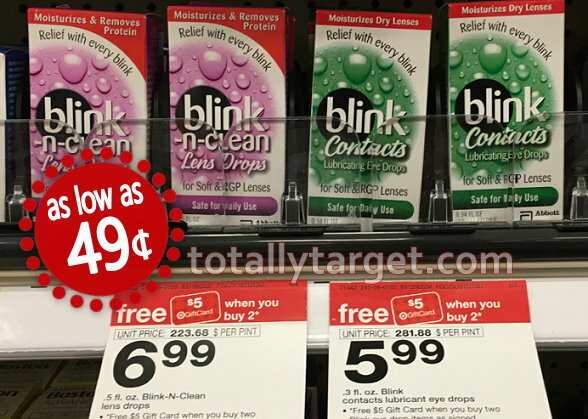 Blink Tears & Gel Tears lubricating eye drops were also included at $8.89 and we have a high-value printable coupon available to save $3/1 Blink Tears, GelTears or Blink Tears Preservative Free Drops HERE. 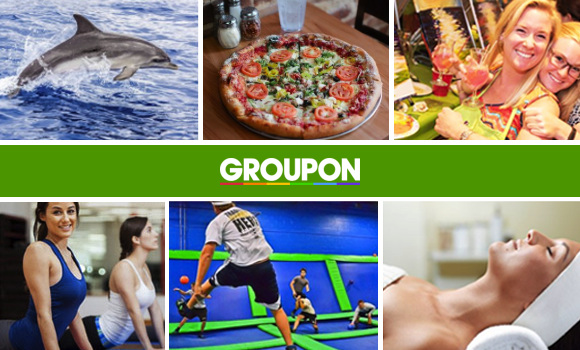 Thur tomorrow only 9/8, Groupon is offering an extra 20% off on up to 3 local deals, including spas, massages, restaurants, local events, fitness classes, plus lots more! Just enter promo code SALE3 at checkout to get the discount. If you are not a member of Groupon, you can sign up HERE. Note: Code SALE3, is valid on up to 3 Local Vouchers per customer, up to $50 discount thru 9/8. Not valid on third-party-site transactions. Other exclusions may apply, see site for details. And, if you haven’t done so you can still grab a $1/1 Sea Cuisine HERE and HERE. 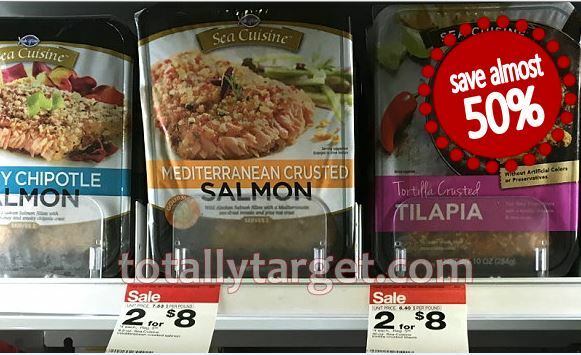 If weeknights are a bit hectic now that school is back in session, Michelle has a great idea for a fast and fabulous dinner. There are only a few ingredients, and using Buitoni pasta makes getting dinner on that table super quick. 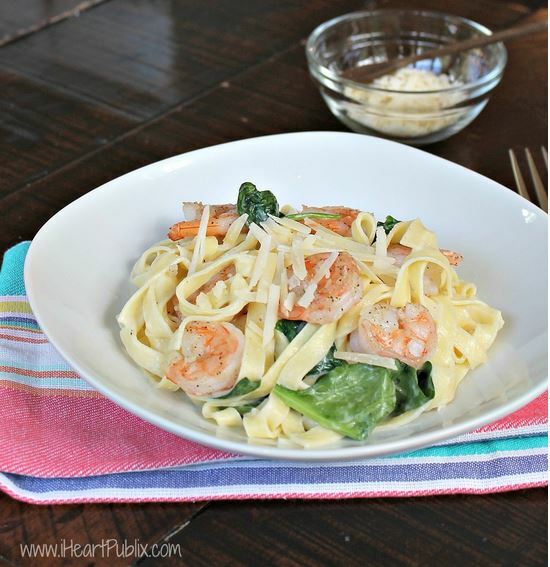 Fresh spinach adds color and makes this a complete all-in-one meal with shrimp. You can check out the complete recipe with instructions on her post HERE. 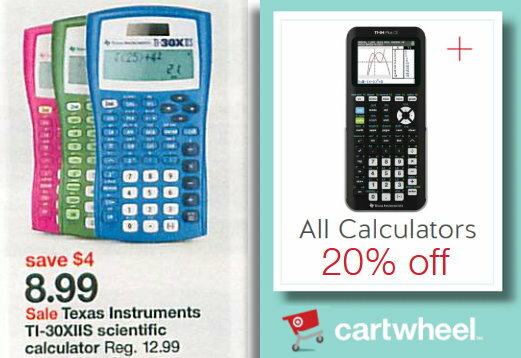 There’s a new Target cartwheel offer available to save 20% Off all calculators. 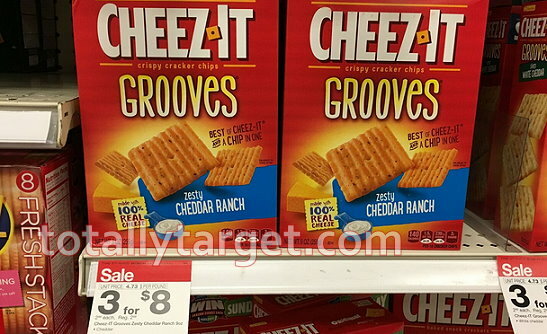 Target has the TI-30XIIS on sale this week to make for some nice savings…. 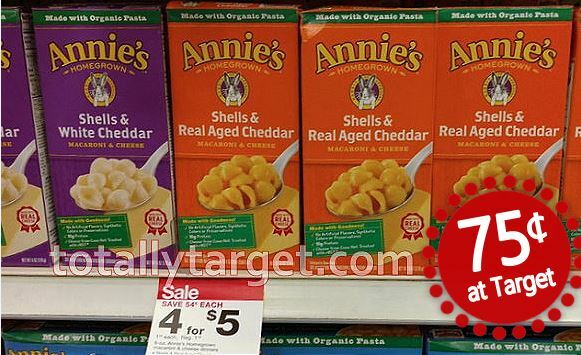 This week Target is offering 30% off select games when you reserve any new game for $1. Far Cry Primal is included, making it $25.19 after cartwheel and sale when you reserve a new game for $1, regularly $59.99. Right now you can pick up a One-Year Subscription to Smithsonian Magazine for only $8.99 when you enter coupon code: TOTALLYTARGET. This deal will run through midnight (EST) tomorrow, September 8th. Plus with Discount Mags shipping is FREE and auto renew is optional! About Smithsonian Magazine: Smithsonian is world renowned for its editorial content and coverage. Each issue is filled with beautiful images, fascinating stories from around the world, and in-depth explorations of history, people, nature, science, travel and the arts. You’ll love to share this magazine subscription with your whole family. Order your copy today! 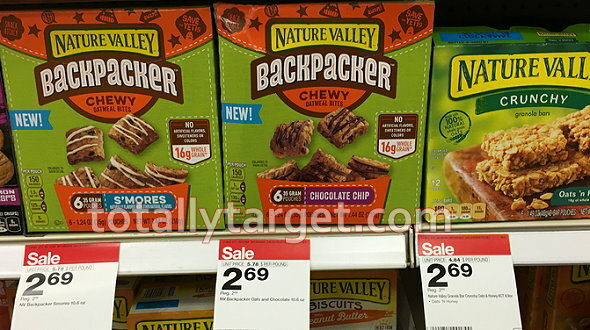 Here are some more new long-term sales I found at Target this week on snacks. 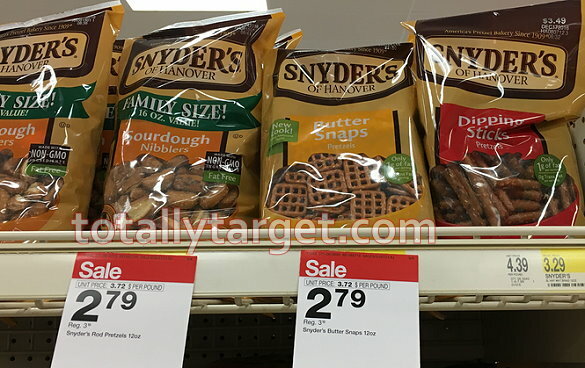 Please keep in mind when viewing the following that it is possible for sales to vary by region, and some products may not be carried at all Target store locations. 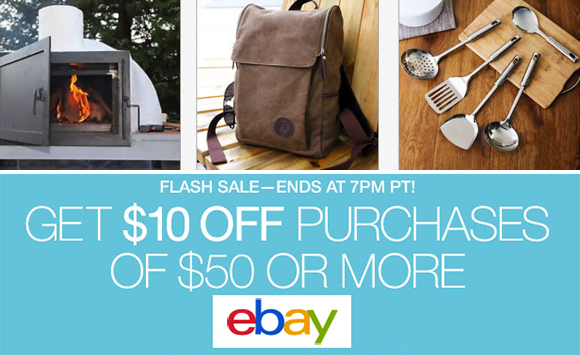 Thru 7 pm PST, today only 9/7, eBay is offering $10 off a purchase of $50 or more with coupon code C10FALLFLASH! To take advantage of this discount, you must have an eBay account and pay for your purchase(s) in one transaction with your Paypal account. You can only use this coupon code once per PayPal account within a single transaction (or cart) so if you have been planning a big purchase, now’s the time to get an extra $10 off! Just go HERE to check out what deals you can find and remember to use your PayPal account and enter code C10FALLFLASH at checkout to get $10 off your purchase of $50 or more. If you love shopping on eBay, take advantage of this limited time offer while it lasts! For exclusions and more details, go HERE.